Tis the (pre)season for the warming of the cockles of my heart; and so, in honor of the few days of sixty-degree weather we’ll…no, actually, in honor of my sister and her fiancé, I present a meadowhawk “ring.” To the happy couple, I wish many bugs and many congratulations! (Which are, in this case, really the same thing!) May you both continue to fly like dragons! 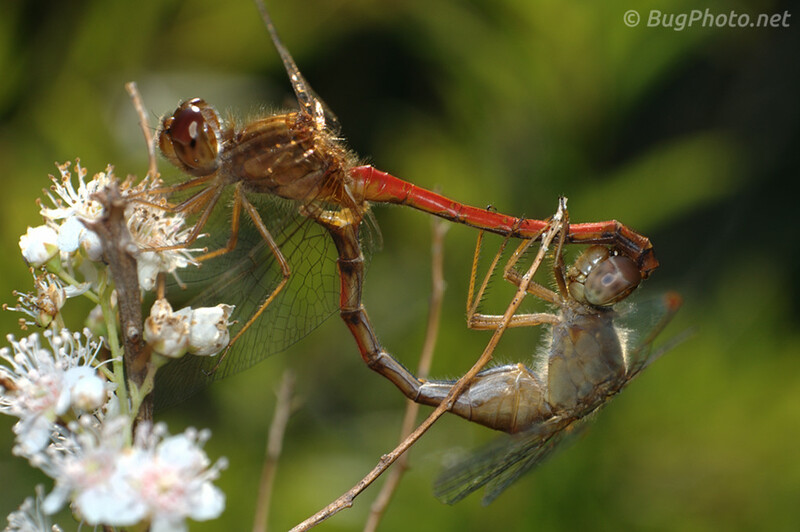 Posted in DragonfliesTagged bug love, buggelgänger, marriage, mating bugs, meadowhawk, wedding ringBookmark the permalink. You’re such a (weird buggy) romantic! I concur, Harv. Thanks so much, Mike!